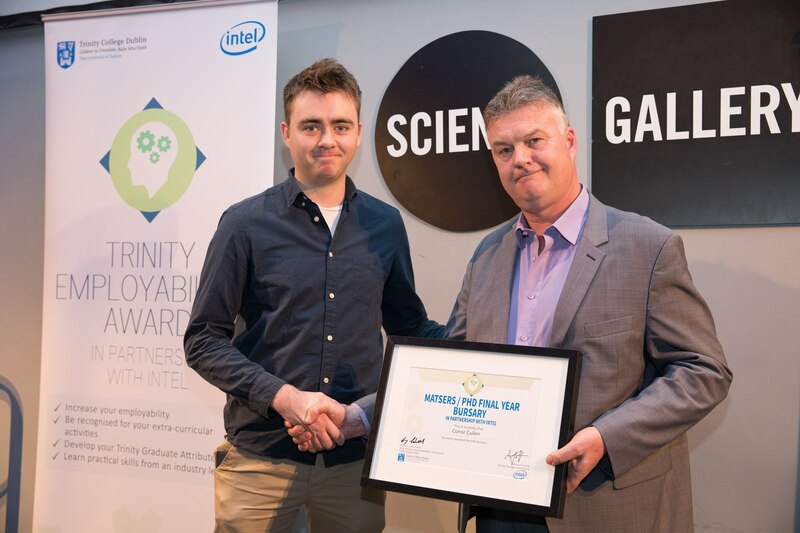 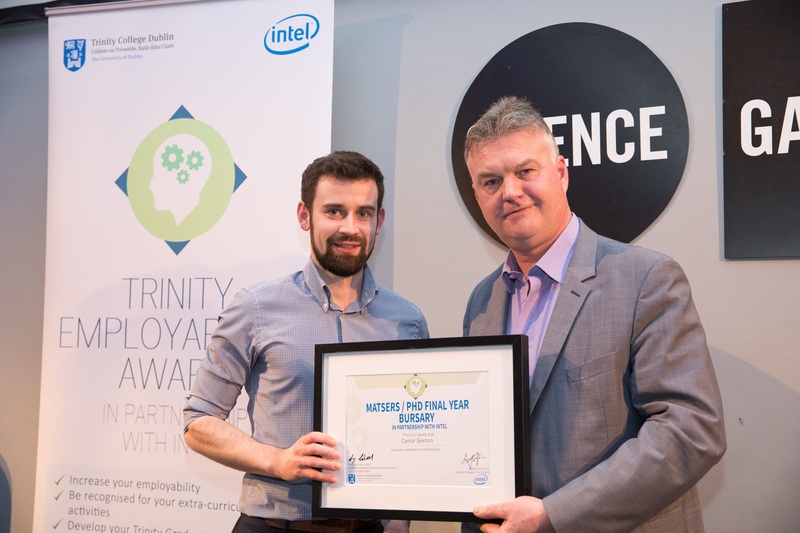 Dawn Kelly and Eoin Caffrey were recently named as the winners of the 2019 Trinity Employability Award, an initiative in partnership with Intel. 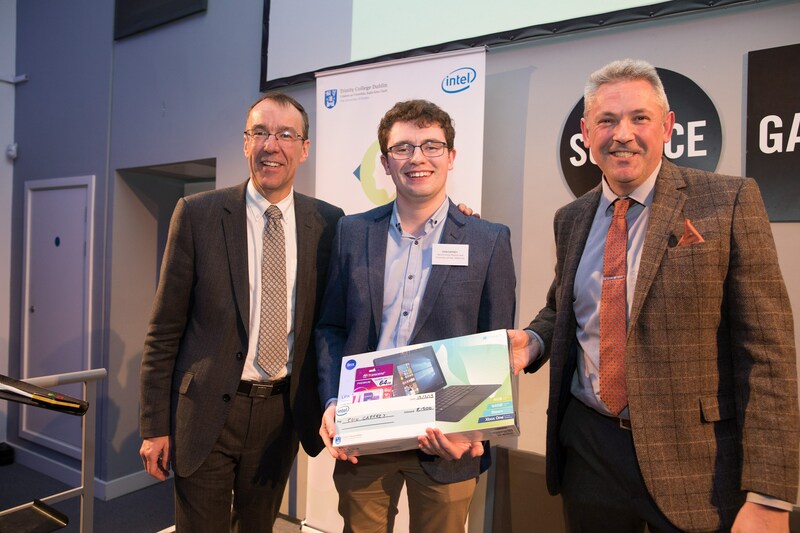 The announcement was made at a special ceremony at Trinity College which took place on Tuesday March 19th. 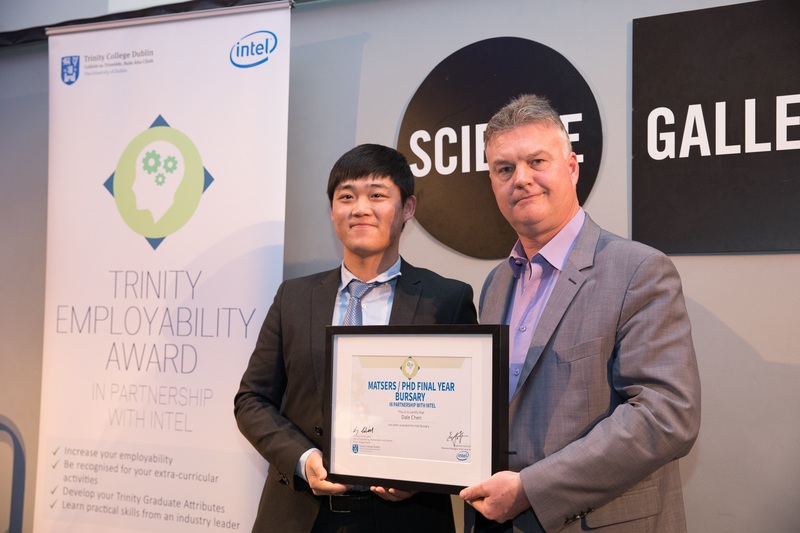 At the Employability award ceremony, which took place at the Science Gallery, the participants of the 2019 programme shared the outputs of their experience with a panel of judges who whittled down the group to a shortlist of six finalists. 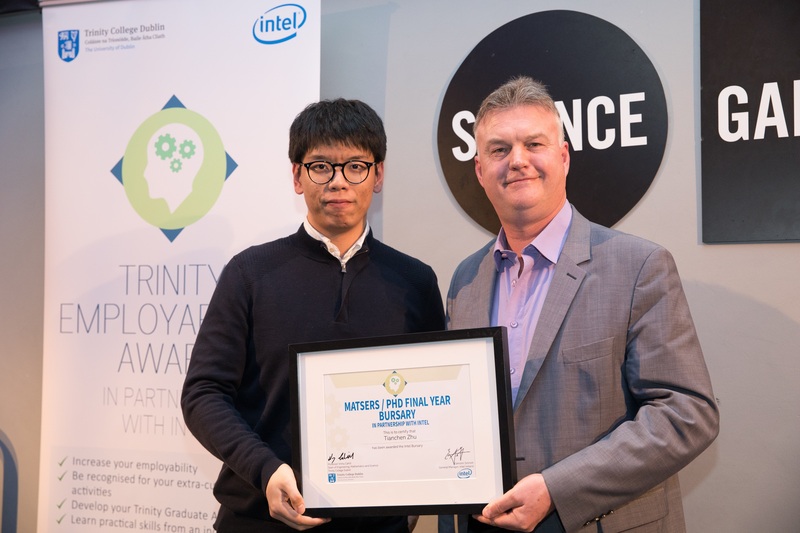 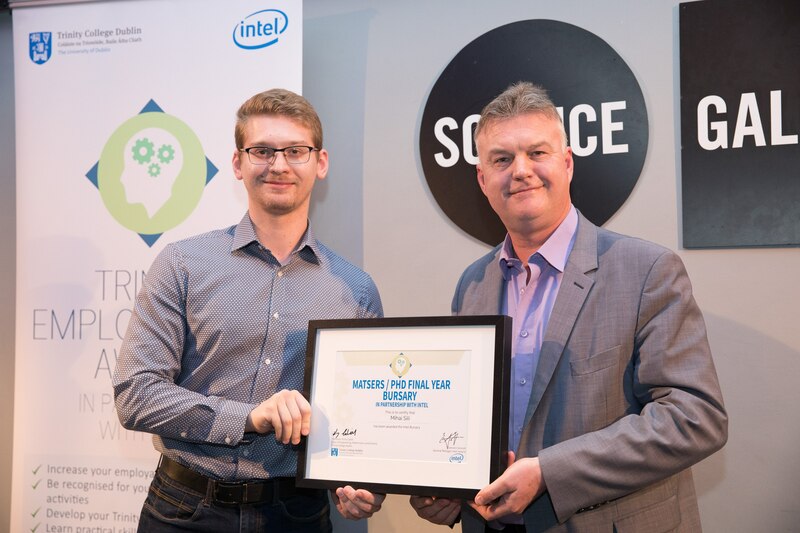 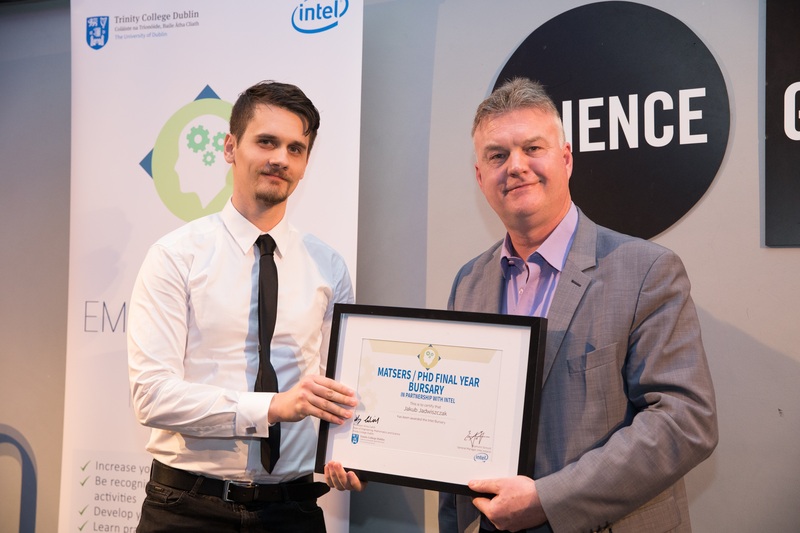 The six finalists then made a short presentation to the assembled audience and judging panel, before the two overall winners were announced and presented their awards by Trinity College Vice-Provost Chris Morash and Intel Ireland Research Manager Bernie Capraro. 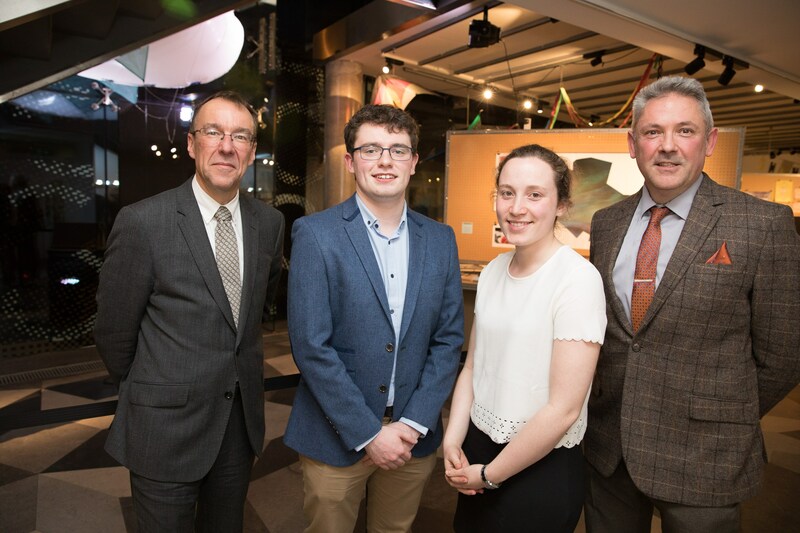 The two overall winning students were Dawn Kelly and Eoin Caffrey, both of who are 3rd year students in the programme ‘Nanoscience, Physics & Chemistry of Advanced Materials’ in the Faculty of Engineering, Mathematics and Science. 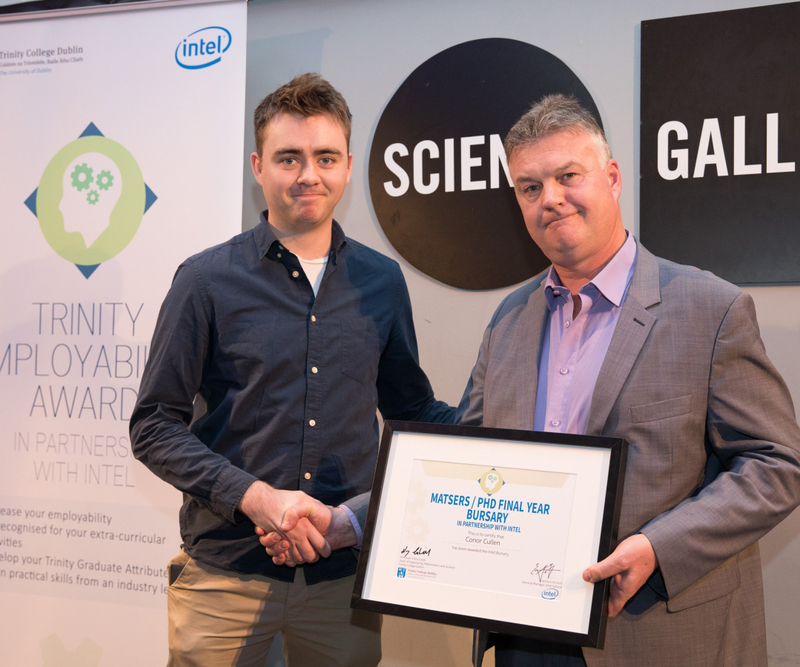 All participants who successfully completed the Employability Award programme received a certificate of recognition. 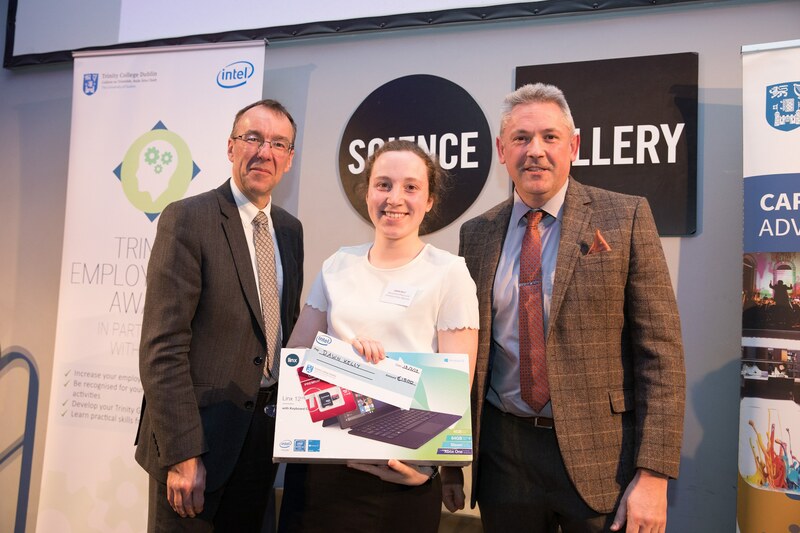 The two overall winners received a cash prize of €1,500 as well as a laptop device. Speaking about the Employability award Trinity College Provost, Dr Patrick Prendergast, congratulated all of the students who participated in the programmes and said; “We want to prepare students for the ever-changing challenges of the 21st century workforce. 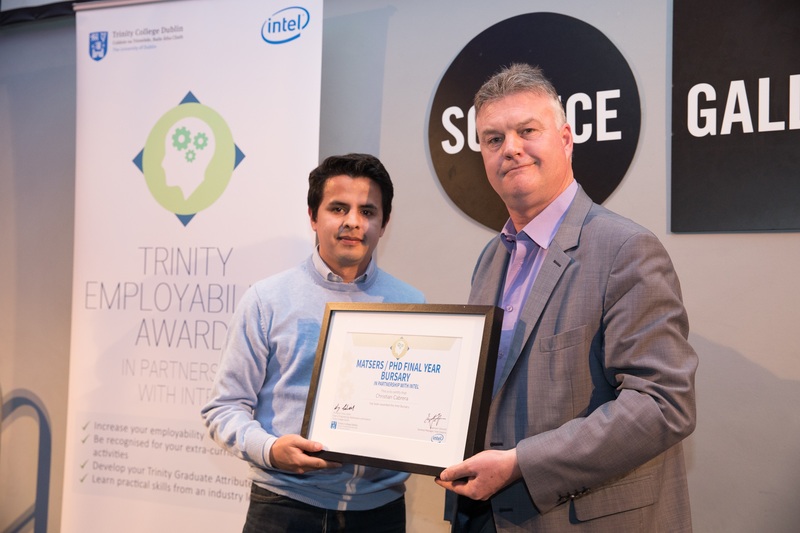 The Trinity Employability Award has set out to do this, helping our students develop Trinity Graduate Attributes through a combination of training and experience. 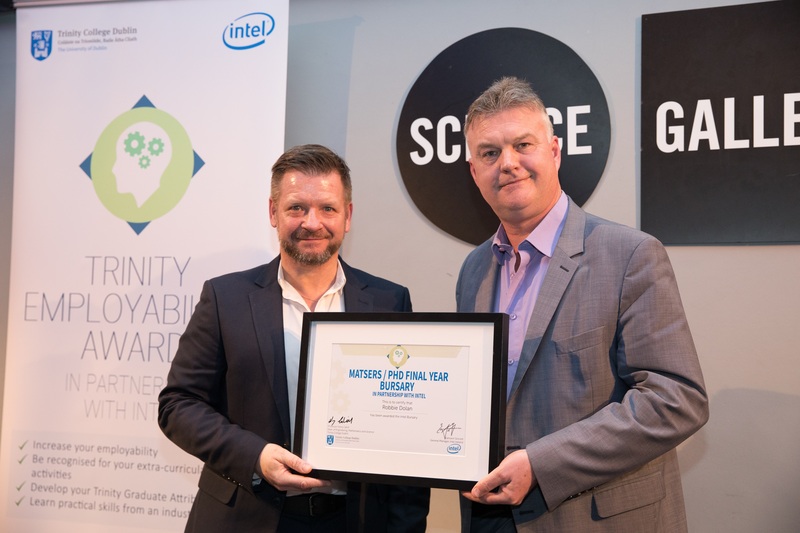 We are especially delighted to be doing this in conjunction with Intel Ireland”.